at the website of Texe Marrs, www.texemarrs.com , The site boast that the book entitled “Holy Serpent of the Jews“ to be a best seller. I cannot verify whether the book is a best seller or not, but I can say that every man, woman and child on planet earth, who professes that Jesus is the Christ the Lord God Almighty, raised from the dead and now sits on the right hand of the invisible God, should not only read this excellent book, but forward it to as many friends and family as possible in a very short time. Prophecy advances rapidly upon the inhabitants of the earth, time is running out like water into the sea. and http://www.noahidenews.com, Texe Marrs summed it up along with the decades of his research on the New Age “One World Order” in just 204 pages. Ah, If I could only be such a prolific, precise and eloquent writer, but then again, this is why God has raised men and women, like Mr. Marrs, people who possess this astounding ability. In these years I have attempted to have readers understand, that they must know the enemies of Christ, the minions of the Great Mystery Mother Harlot of the earth, the Synagogue of Satan and be sure in Scripture, or you may be surely deceived. This book “Holy Serpent of the Jews” is in my opinion a historical document, backed by factual references, proving that the religion of the jews, Judaism is nothing more than worship to strange gods and the “god of forces”. Texe Marrs proves that the ultimate goal of these serpents is to control the entire earth and enslave all non jewish mankind. The Holy Scripture is our guide to understanding the intention of that Old Dragon and Satan, Texe Marrs has contributed to the saints of God, to further our understanding of the Prophecy of Christ Jesus in his Revelation to John on the Isle of Patmos. I am very thankful to Mr. Marrs for the work and expose’ of the Talmudic jews Unholy works, and I would bid that you order a copy or several copies and distribute to those you hope will be among the elect in these last days. This strange doctrine, accepted by the vast majority of today’s Orthodox Rabbis, also makes the bold claim that the Jews are a Holy Race of wise and virtuous serpent beings. Collectively, World Jewry is claimed to be the very incarnation on earth of the Holy Serpent. “Desolate!” That means devoid of spiritual value, barren, a wasteland. Today, the House of Israel, the physical nation of Israel, is exactly what Jesus said it would be—a spiritual desert, a nation of lying, deceiving, terrorist killers; desolate of morality, devoid of righteousness. All of Rothschild’s trillions and all of America’s boatloads of foreign aid, diplomatic cover, and military armaments heaped on the artificially created nation of Israel for the past six decades cannot change one iota of what Jesus prophesied. Israel is a desolate place, a wasteland of inhuman cruelty and savage conduct, and it shall remain so. Moreover, except for a tiny remnant, the Jewish people, wherever they may reside, spiritually are “serpents”—serpents whose cruel, black hearts are stained with filth and contamination. Just so, because the priesthood of rabbis, the keepers of the Judaic faith, are worshippers of the Holy Serpent. The Holy (or Sacred) Serpent, of course, is identified in the New Testament as he who was cast out of heaven. In other words, the Devil, or Satan. The Sacred Serpent is represented in Hebrew gematria by the Hebrew alphabet letter “vav” of YHVH, the Jews’ kabbalistic name for God. Since the Torah (the first five books of the Old Testament) are said to be “the heart of Jewish existence,” the doctrine that the Sacred Serpent is hidden within the Torah and appears as the letter vav is an essential foundation of Judaic tradition. The rabbis believe that this letter—vav—is evidence of their deity. They emphasize that the letter vav, indicative of the Sacred Serpent, is found exactly at the middle-point of the Torah, at Leviticus 11:42, which is said to be the belly of the Serpent deity. The Jews themselves, in their devilish religion of Judaism, admit their god is the Serpent. Their leaders well know that this is the Devil, or Satan. In some type of creepy and eerie doctrinal confession, the rabbis are even discovered to be boasting of their Sacred Serpent and they say that all Jews live inside its belly! Is this not unbelievable and revelatory? Nevertheless, even the Jew can be saved. The Old Testament prophet Isaiah (chapter 59) testified that, indeed, the nation of Israel is of the Serpent. But the prophet also spoke of God”s mercy and willingness to save those who repent of this evil. Lord Jesus Christ grant brother texxe mercy to do this scripture with this book . Maybe in a pdf form ? Mat_10:8 Heal the sick, cleanse the lepers, raise the dead, cast out devils: freely ye have received, freely give. It is given freely, give freely. I also agree,but you can buy it for just $9.99 on amazon.com or for €8.90 amazon.de here in Germany, what i did. However, after stewing on the subject last evening, Texe does Have the Bible home church where these subjects are preached freely, as well as his weekly audio. I personally have learned from these audio’s over the last 17 years, it was given freely. Do you muzzle and ox while it is plowing? Is a workman worthy of his hire? Where will our internet works go when all is finally censored? Books are invaluable for future posterity of them who yearn for Truth. These books took hours, days, weeks and months to write and compile documented evidence, not to mention publishing cost. Texe is not “selling” the gospel. I purchased the book, and very glad that I did. I also would have bought 2 copies but the shipping cost to Germany was to high. I rather donate him money again as i regulary do. 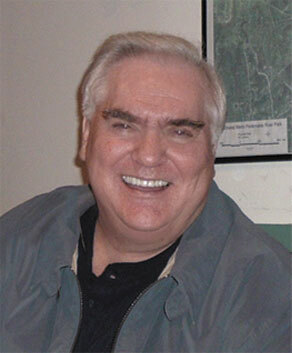 Texe Marrs, and his “Power of Prophecy Ministries’ and Bible Home is not a 501-C3 Tax Exempt Ministries. and his cost and overhead I assume is not cheap. so i clearly understand the reasoning to have to sell these excellent books that he has written, as well as those hopefully in the future. I’ve not read this one, but do hope i get the chance to. thank You Mr. Marrs, and God bless each and everyone who loves our Lord, Our God, Christ Jesus. 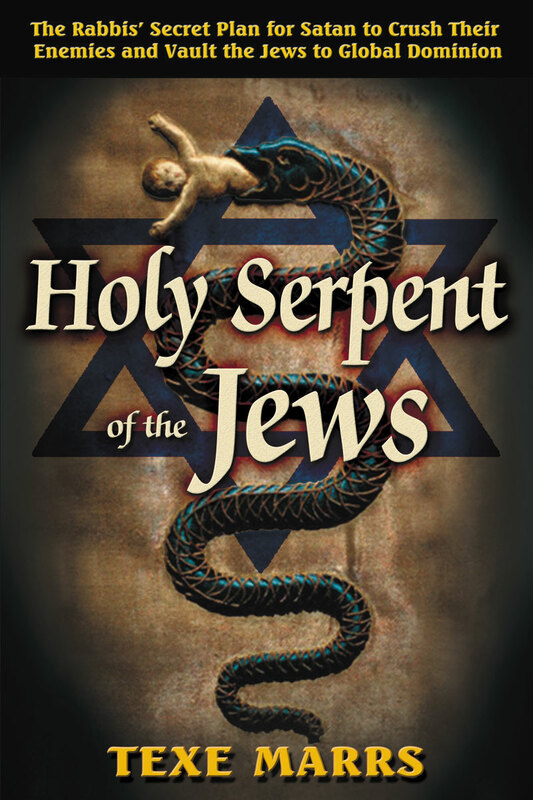 Thank you so much for the outstanding review of my book, Holy Serpent of the Jews. Brother Pickle is correct. My ministry loses money and we stay open only because of the love gifts from Christian friends who care. Exposing the Jews religion and hatred of Jesus brings a person great criticism. Bookstores refuse my books, though I once had #1 bestsellers. But Jesus comforts me and at 72 yrs of age, I realize I only have so much time to labor for Him. I write only the books God lays on my heart. Friends, there you have it. We forgot to invite Mr. Marrs into our little debate. In his defense, there is the Truth of that matter. There is no greater Love, than a man lay down his life for a friend. Mr. Marrs has proven to be as bold as a roaring lion in TRUTH Telling. The true haters of the jews are they who say that the jews have “another covenant” and do not Need Christ Jesus the Savior. Not only do they shut the gate to the kingdom of heaven unto others, they themselves will not enter into the Kingdom of God. Stand Fast, the spirit of Prophecy is the Testimony of JESUS who is Christ the Lord. I also want to thank Henry Makow @ http://www.henrymakow.com for allowing an embedded tweet, which drew hundreds of viewers from around the globe to this review. Hopefully this book will do well and help finance the next book of Mr. Marrs, which I suspect will also be a “Historical” document. I go as far back with Texe Marrs as The Living Truth Ministries, and as Texe mentions in the Introduction of Holy Serpent of the jews . The Conventional Wisdom is Wrong. Lies of the Rabbis. I want everyone to know that for Texe Marrs Power of Prophecy has been a very in my spiritual growth in Jesus Christ. Sandra and I said the sinners prayer, that started me on the correct pathway to Jesus. Back in 2013 I was blessed to finally meet all members of Power of Prophecy who I called and talked on there 800 numbers while I was incarcerated in a state mental hospital for 18 yrs. Thank You very much Power of Prophecy for listening to me asking questions, writing letters. I hope all persons that hear about the Book take a moment to read it, and learn, and learn we do everyday. Thank you for your testimony Wayne. Stand Fast in the ONLY Name in which to enter HEAVEN. the Talmudic Satanic onslaught is on. Jesus is the Christ forever. Wayne, I have been in a federal institute all of my 59 years. God freed me long ago. I am glad to see you are also free in JESUS name. Who else cares? I am with you unto the end, Wayne.